At least 12 tourists have died in a bus crash in eastern Mexico today, when the bus carying them flipped over on a highway early on Tuesday. Royal Caribbean has confirmed 27 cruise ship passengers were on the bus that suffered the accident, which were sailing on Serenade of the Seas and Celebrity Equinox. The news from Costa Maya about a bus accident involving #CelebrityEquinox & #SerenadeoftheSeas guests is heartbreaking. Our hearts go out to all those involved. We are doing all we can to care for our guests, including assisting with medical care and transportation. 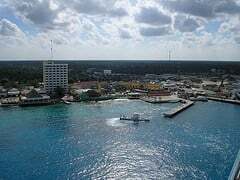 Seven Americans and two citizens of Sweden are among the injured, according to Quintana Roo state Civil Defense spokesman Vicente Martin. 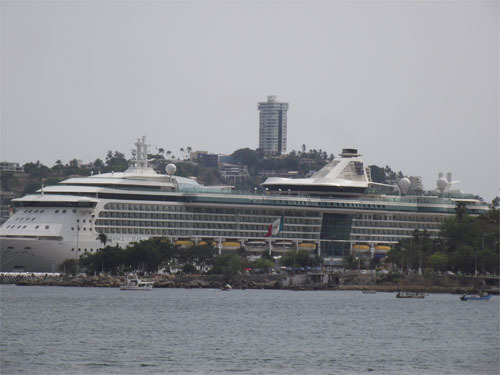 Royal Caribbean announced it will skip a scheduled stop in Puerto Vallarta, Mexico today for Jewel of the Seas due to violence in the area. 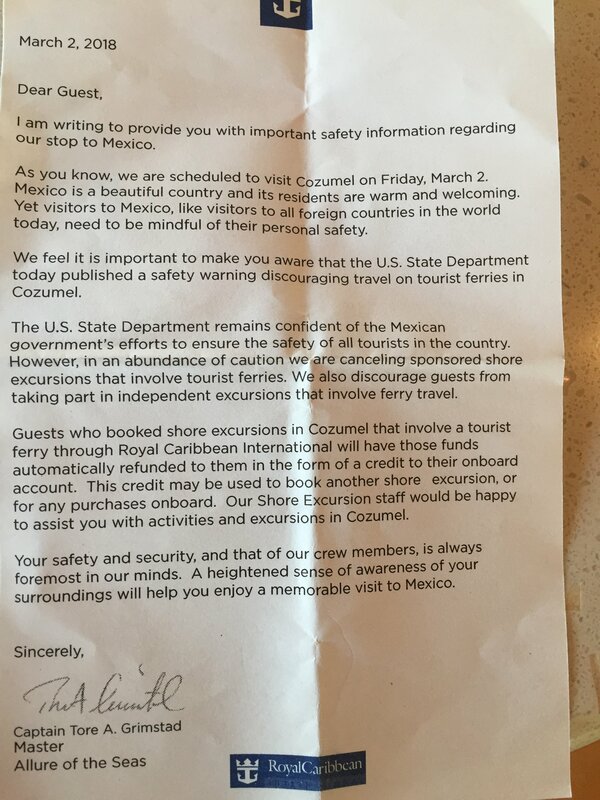 Royal Caribbean director of global corporate communications commented on the change, "The call to Puerto Vallarta was canceled due to the recently experienced episodes of violent civil unrest, stemming from criminal gangs that have engaged in armed conflict with local authorities. We also canceled Celebrity Infinity's call on Sunday. We will continue to monitor the situation in Puerto Vallarta." Criminal violence in Mexico has been a primary reason why Royal Caribbean and other cruise lines have avoided offering more cruises on the west coast of the United States. Royal Caribbean named André Pousada, the former Brazil Sales Director, will become the sales director for Royal Caribbean in Mexico starting in July. Mexico is considered a strategic market for Royal Caribbean because of the value and potential of the cruise market, so having the right plan in place there is critical. Pousada has a career of over 22 years in the tourism industry, including experience in agencies, tour operators, airlines, hotels and cruise ships. At the same time, he developed his career in Academic SENAC, one of the leading Universities of Tourism and Hotel in Brazil. 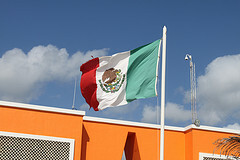 Pousada commented on his hiring, "I am very pleased to have the opportunity to get in front of Royal office in Mexico. It's a challenge for me to lead this project, Mexico is a country of great opportunities is a key element for the cruising, so we want to develop a series of actions and strategies that benefit the Mexican cruise and in turn, our sales reflect within Mexican territory. " We're wrapping up our trip planning process for our upcoming Navigator of the Seas 7-night western Caribbean cruise on February 9, 2014 by taking you along for the planning process. Today, we're looking at our last port visit in Cozumel, Mexico. You can read all about the plans we made for our other port stops of Roatan and Belize City too. Cozumel is a port I've been to many times, perhaps as many times as four or five, and yet I really like it. I know some people don't care for it that much but I have enjoyed my time there. What I like about Cozumel is the value of my money as an American, the food (I love me some Mexican food) and the exploring the city. In the grand scheme of Caribbean beaches, Cozumel's beaches are middle of the road because they aren't the best or the worst. So I tend to gravitate towards spending time in the city. We've done a lot in Cozumel over the years and I'd like to try to hit some favorites while trying something new. 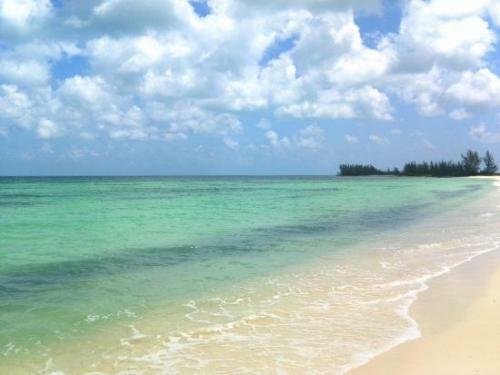 One nice thing about Cozumel is it's a very easy place to explore. In a perfect world I would rent a car for the day, but Mexico's laws about car rentals and liability scare me too much to be able to enjoy it. Interestingly, I haven't done the two biggest things Cozumel is well known for: snorkeling or Mayan ruins. I don't love snorkeling (well, I like snorkeling but I do not like fish) and I've been saving the ruins for something to do someday with my dad (who is not on this cruise). 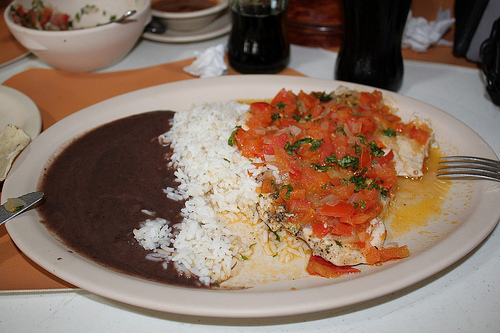 I wanted to see what's new to try in Cozumel and ran across Isla de Pasion after seeing favorable reviews on TripAdvisor. Basically it's a beautiful private island with unlimited adult beverages and buffet lunch included. I've done many all-inclusive excursions and generally liked them, although they can be pricey. A little research found the cost is about $70 per person and more research found that the reviews of food wasn't great. And since my daughter will be with me, it's not like I can really drink $70 worth of alcohol to get my moneys worth. The beach definitely looks great and it would be something nice to do perhaps with a group of people. If I can, I like to do things in port I know my wife will enjoy and I think a stop at this chocolate shop might be just that. 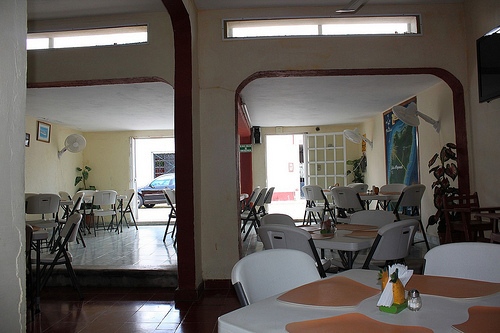 It's ranked as the number one restaurant on TripAdvisor for Cozumel and that really stood out to me. From the looks, a stop here could be quick and something to try for not a lot of money. Because I enjoy exploring Cozumel on foot, it's always nice to have a few things to do to fill up the day and who doesn't enjoy a chocolate break? Of course, the only way I can really see going here is if I do a city tour and if we opt to do a full day excursion elsewhere, then we won't have time to stop by. 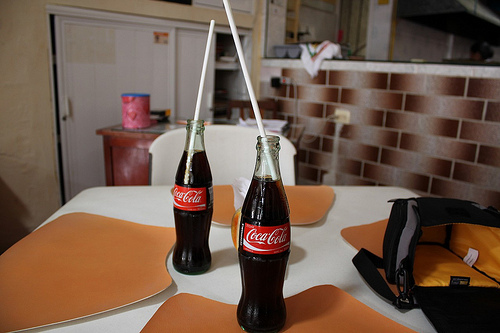 If I go with the explore the city choice for Cozumel, where we eat for lunch will be a highlight for me. 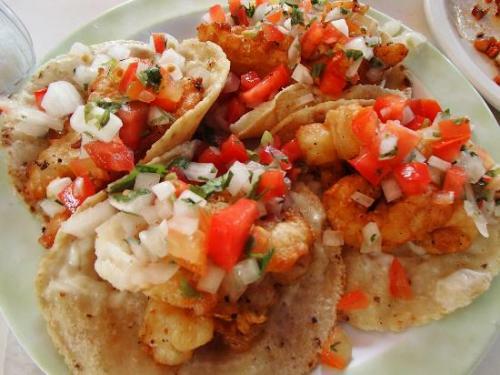 Every trip to Cozumel I've tried a new restaurant in an effort to find the most authentic local food. 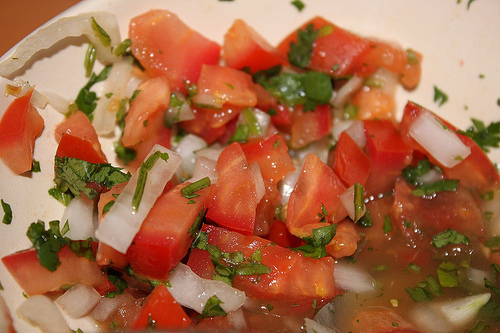 I love Mexican food but I really love authentic Mexican food. 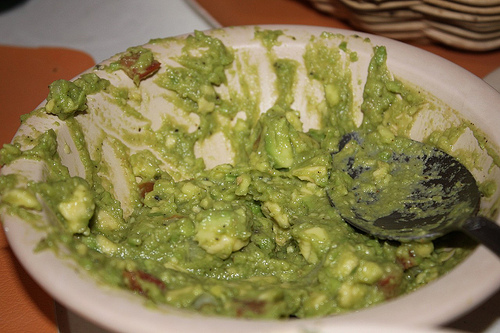 Diego's is listed as #3 on TripAdvisor and the photos and reviews point to this as being an authentic experience. It will be hard to top my current favorite Cozumel restaurant for authentic food, Comidas Caseras Tonita, but Diego's looks promising. 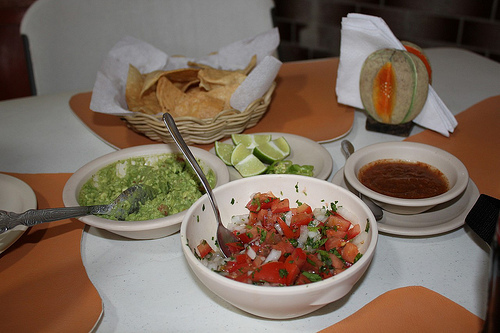 Chips, salsa, guacamole and fajitas seem to be big here and I love to try a little of everything. There are two downsides I can see by trying Diego's. First, on a map it's quite a way from the cruise ship and the main hub of downtown Cozumel. I don't mind walking but it will be a hike. Second, there is always the chance the food will not live up to my expectations. 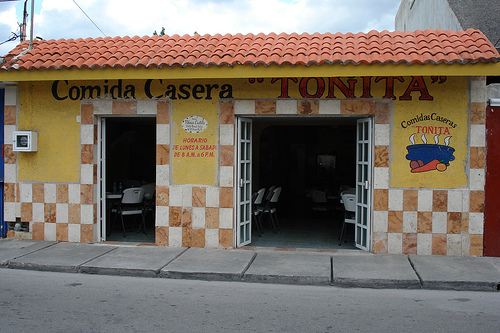 I enjoyed Comidas Caseras Tonita so much last time that other places will have a lot to live up to. 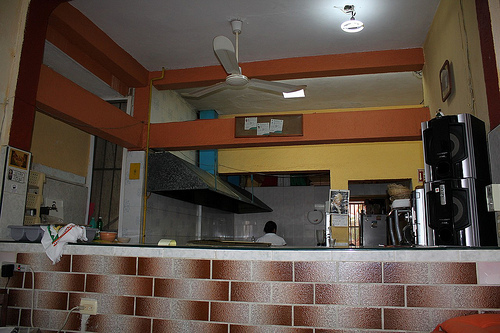 Cons: Far away from city center; How good the food is remains to be determined. 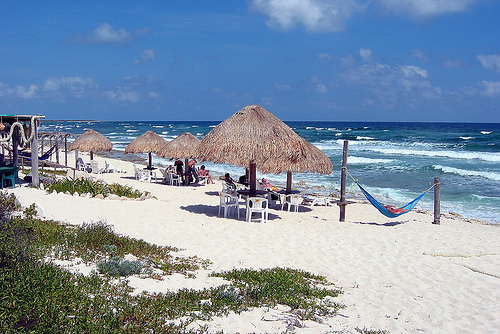 Inevitably, a beach break in Cozumel is a must and we've tried a number of beaches in the past in Cozumel, including Paradise Beach and Playa Palancar. Mezcalitos is a beach bar on the east side of the island that sounds like the perfect combination of relaxation, uncrowded and a little bit authentic. What appeals to me about Mezcalitos is it's off the beat path. In fact, this bar has no electricity but is pretty to look at and may be a good place to get a little bit of a beach break plus some food and drink. When we were in Bikini Beach in St. Maarten, I liked having a restaurant, bar and beach tightly integrated and this sounds like more of the same. The downside to Mezcalitos is the surf appears to be much stronger, which may be an issue since I have a 3 year old. Granted, she has fun playing in the sand where the waves come in so it's not th end of the world. Also, it's a bit of a drive to the east coast and once again will require a taxi fare. 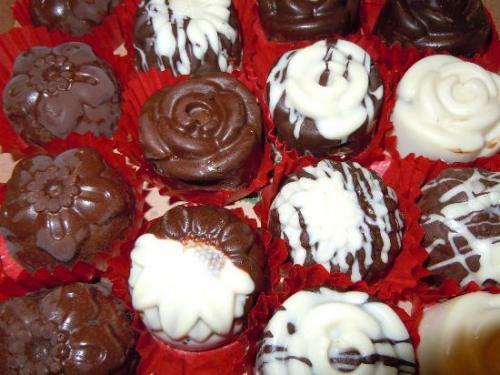 After considering our options, we ended up choosing.... Chocolateria Isla Bella + Diego's + Mezcalitos. 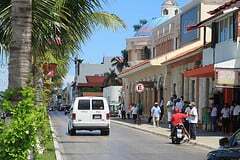 The great and bad thing about Cozumel is there are so many choices of what to do, more so than any other island we are visiting on this cruise. With so many good choices, it's hard to just pick one or two. 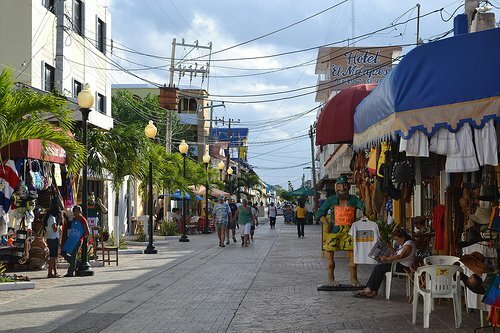 What I love about Cozumel is how easy it is to explore the city and the island. I think our basic plan will be to explore San Miguel and try the chocolateria, shop and have lunch at Diego's before taking a cab to Mezcalitos for the afternoon. I think what we have here is a good, open ended day with opportunities to try something different if it comes up. While Isla de Pasion looks great, in Cozumel I know how much there is to choose so I'd prefer to sample as much as I can rather than spend my day in just one place. Royal Caribbean has announced its promotion in Mexico through his Facebook page (Royal Caribbean Mexico) and supported by their Twitter account @royalmx. Called "Remarks on board", fans can earn points in a Facebook game. The game will last for 1 month, the idea is to click 'Like' on Royal Caribbean Mexico's Facebook page and once they do they display the instructions and game mechanics. The users or players must form words with letters that get 9 to score points. If the user wants a new set of 9 letters need to invite three friends to click on 'I like' so you can play again. This can be done three times a day. Thus, the person who generates the most points during the promotion will win a trip for 2 people in the Caribbean on board one of the ships of the shipping company. To participate in this contest, only have to make a fan of Royal Caribbean Mexico in Facebook, the player who accumulates the most points will win the perfect vacation in the Caribbean, and souvenirs. Twitter followers also have the chance to be winners of a trip to the Caribbean twice: @royalmx during the promotion will launch a series of questions over the trademark to correctly answer as many questions in the shortest time. Royal Caribbean this week opened its new office in Mexico City, located on the Boulevard Manuel Avila Camacho, where employees working in sales, marketing and business operations of the three cruise brands operated by Royal Caribbean: Royal Caribbean International, Celebrity Cruises and Azamara Cruises Club. Adam Goldstein, president and CEO of Royal Caribbean International, said the company appreciates its strong market position in Mexico and its new office will increase revenue, expand offerings of destinations and increase the number of passengers.